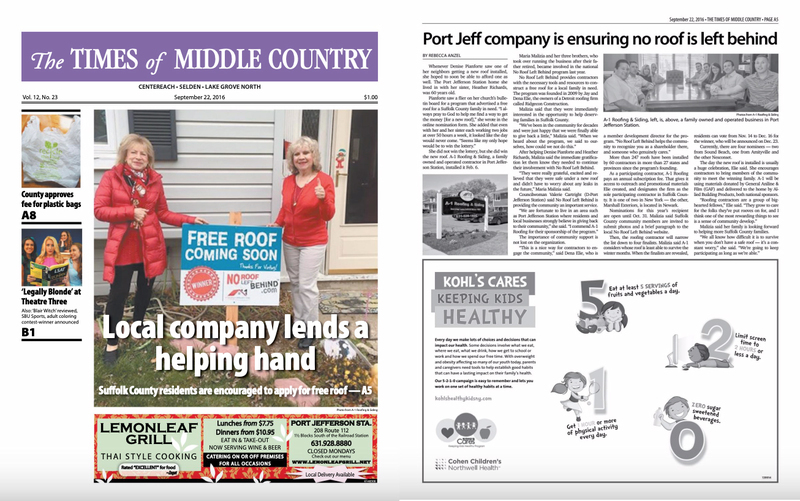 The Times of Middle Country, pictured, Port Times Record, Times of Smithtown, Village Beacon Record and Village Times Herald published this piece in print on Sept. 22, 2016. Whenever Denise Pianforte saw one of her neighbors getting a new roof installed, she hoped to soon be able to afford one as well. 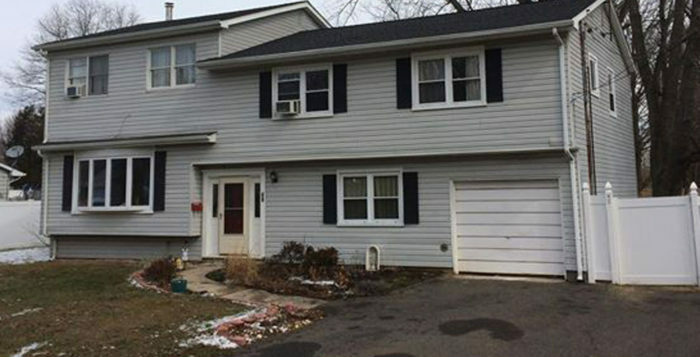 The Port Jefferson Station home she lived in with her sister, Heather Richards, was 60 years old. She did not win the lottery, but she did win the new roof. 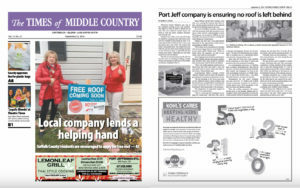 A-1 Roofing & Siding, a family owned and operated contractor in Port Jefferson Station, installed it Feb. 6. 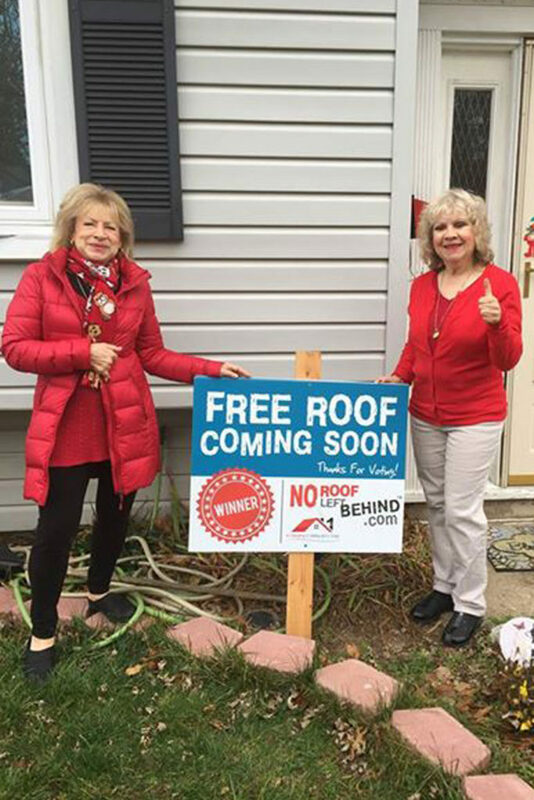 Sisters Denise Pianforte and Heather Richards received a new roof on their Port Jefferson Station home as part of Port Jefferson Station-based A-1 Roofing & Siding’s partnership with the No Roof Left Behind project. Photo from A-1 Roofing & Siding. 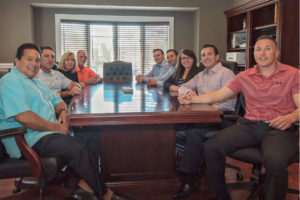 Maria Malizia and her three brothers, who took over running the business after their father retired, became involved in the national No Roof Left Behind program last year. No Roof Left Behind provides contractors with the necessary tools and resources to construct a free roof for a local family in need. 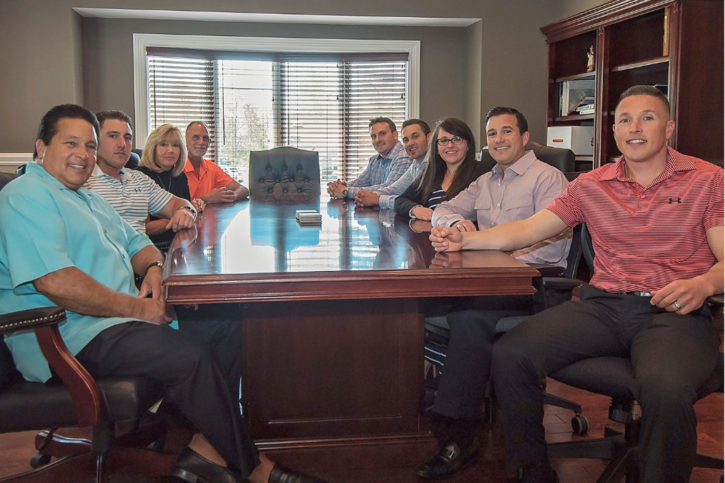 The program was founded in 2009 by Jay and Dena Elie, the owners of a Detroit roofing firm called Ridgecon Construction. Malizia said that they were immediately interested in the opportunity to help deserving families in Suffolk County. After helping Denise Pianforte and Heather Richards, Malizia said the immediate gratification let them know they needed to continue their involvement with No Roof Left Behind. “They were really grateful, excited and relieved that they were safe under a new roof and didn’t have to worry about any leaks in the future,” Maria Malizia said. Councilwoman Valerie Cartright (D-Port Jefferson Station) said No Roof Left Behind is providing the community an important service. 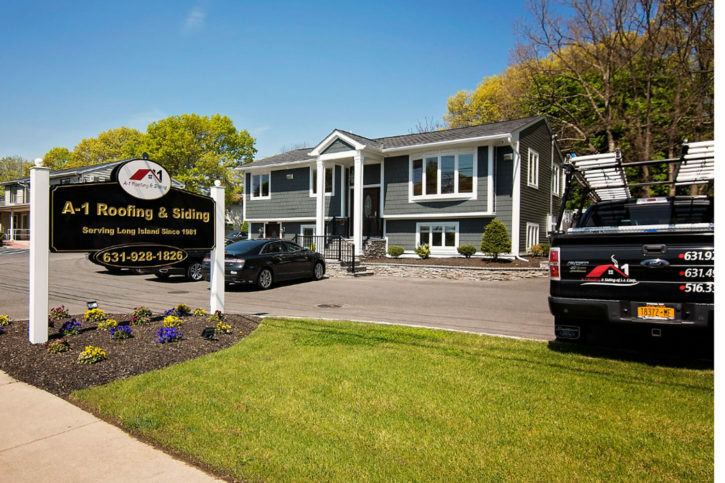 A-1 Roofing & Siding is a family owned and operated contractor in Port Jefferson Station. Photo from A-1 Roofing & Siding. The importance of community support is not lost on the organization. More than 247 roofs have been installed by 60 contractors in more than 27 states and provinces since the program’s founding. As a participating contractor, A-1 Roofing pays an annual subscription fee to join No Roof Left Behind. That gives it access to the outreach and promotional materials Elie created, and designates the firm as the sole participating contractor in Suffolk County. It is one of two in New York — the other, Marshall Exteriors, is located in Newark. Nominations for this year’s recipient, are open until Oct. 31 for a local family deserving of a new roof. Malizia said community members are invited to submit photos and a brief paragraph to the local No Roof Left Behind website. Then, the roofing contractor will narrow the list down to four finalists. Malizia said A-1 considers whose roof is least able to survive the winter months. When the finalists are revealed, residents can vote from Nov. 14 to Dec. 16 for the winner, who will be announced on Dec. 23. Currently, there are four nominees — two from Sound Beach, one from Amityville and the other Nesconset. The day the new roof is installed is usually a huge celebration, Elie said. She encourages contractors to bring members of the community to meet the winning family. A-1 has not yet set a date for the installation, but it will be using materials donated by General Aniline & Film (GAF) and delivered to the home by Allied Building Products, both national No Roof Left Behind sponsors. Malizia said her family is looking forward to helping more Suffolk County families. Sisters Denise Pianforte and Heather Richards received a new roof on their Port Jefferson Station home in February, as part of Port Jefferson Station-based A-1 Roofing & Siding’s partnership with the No Roof Left Behind project. Photo from A-1 Roofing & Siding.